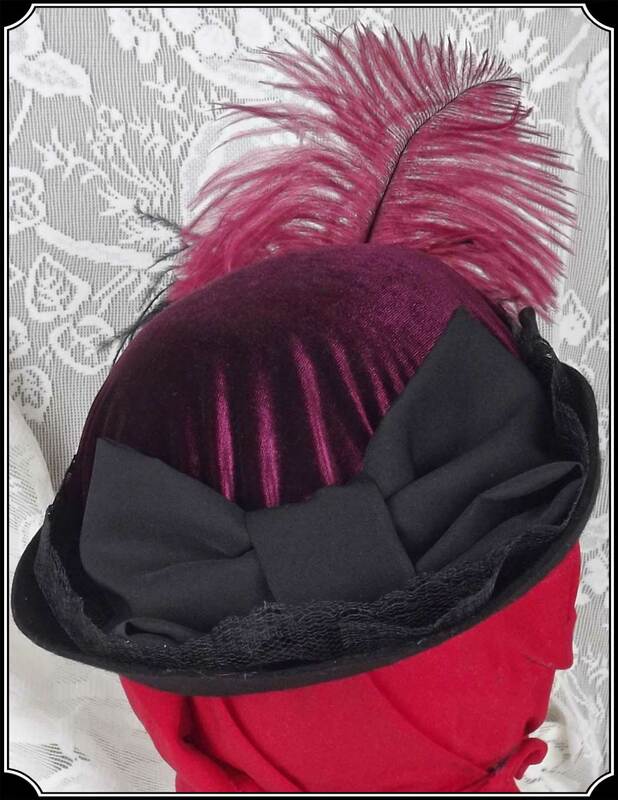 Made of a Wool Felt, this lovely Derby style hat has a Burgundy velvet covered Crown with the brim swept up on the sides. 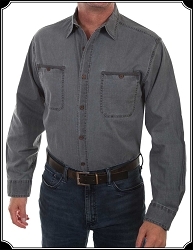 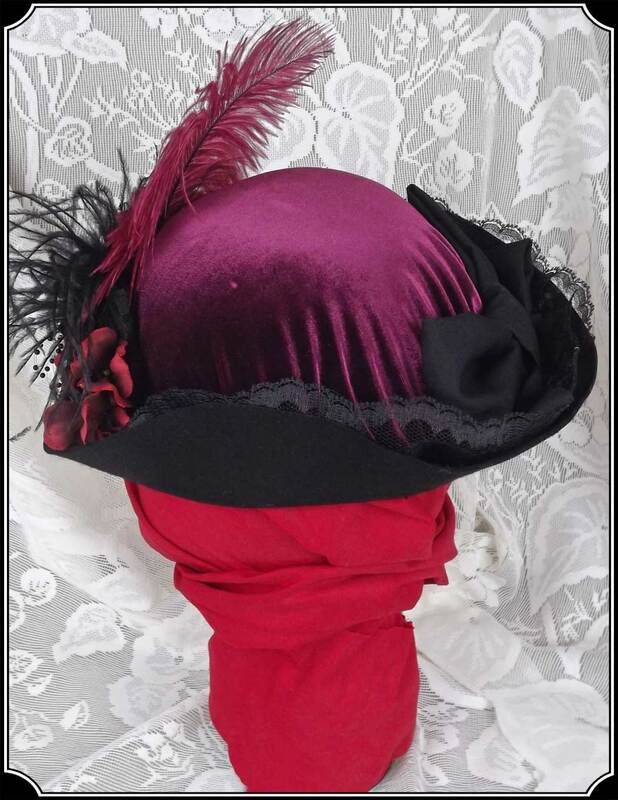 Trimmed with black lace and a black ribbon bow in back. 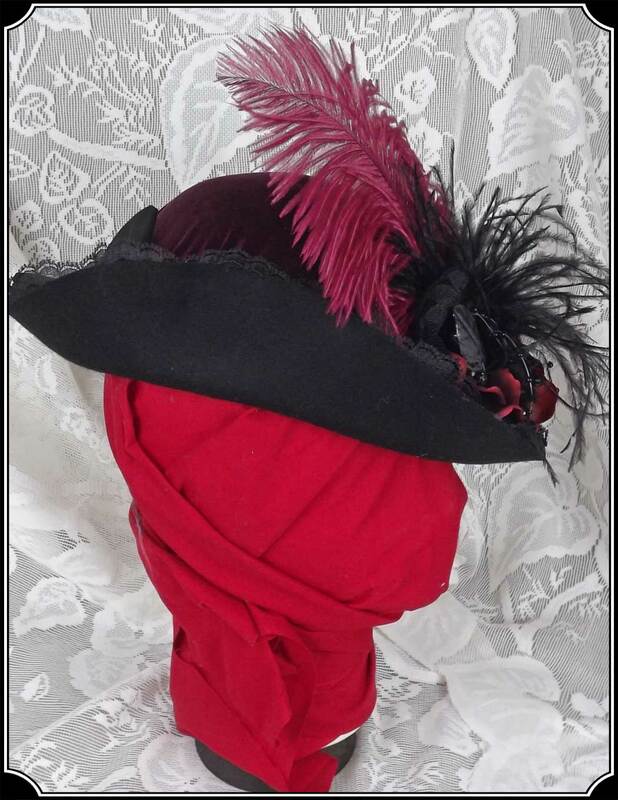 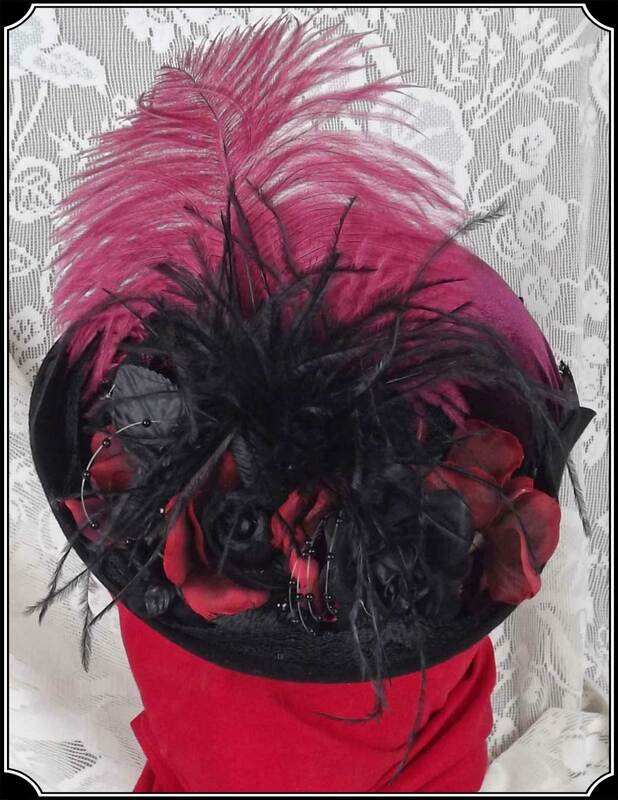 This hat is accented with Burgundy and black Feathers and flowers.